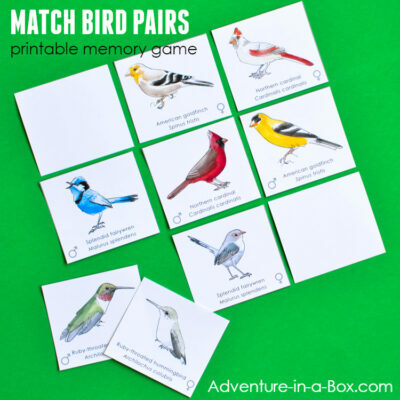 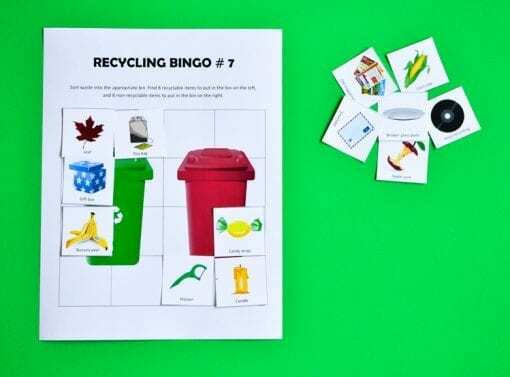 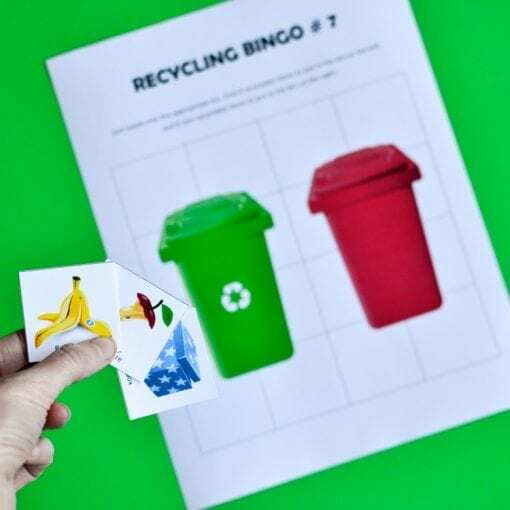 Recycling Bingo Game is a printable educational game that challenges children to collect waste items that are shown on different bingo cards (recyclable, compostable, or trash). 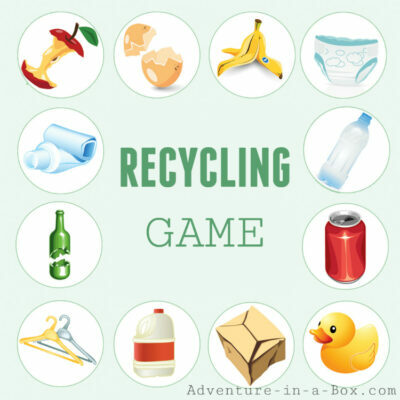 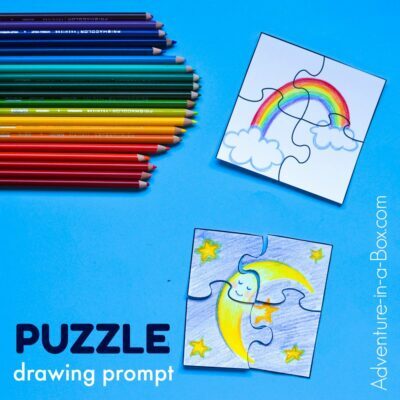 It is great as an Earth day activity or to get your kids acquainted with which items are considered to be universally recyclable and which aren’t. 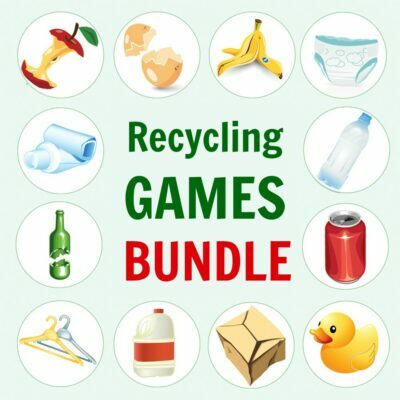 You can buy this game as a part of Recycling Games Bundle. 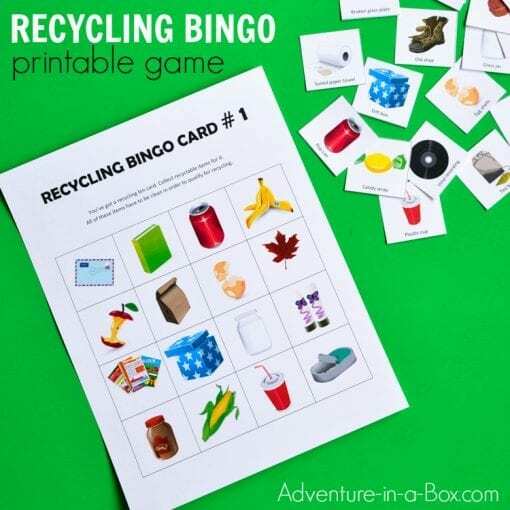 This listing is for the digital design to print your own game. 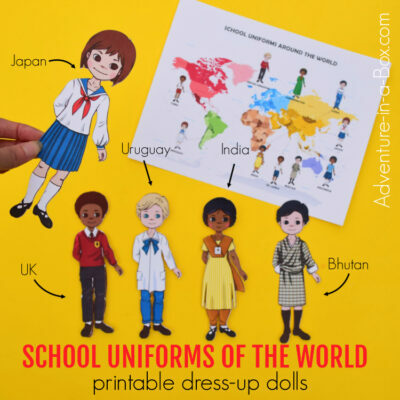 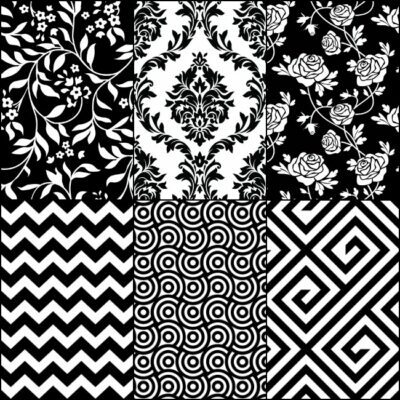 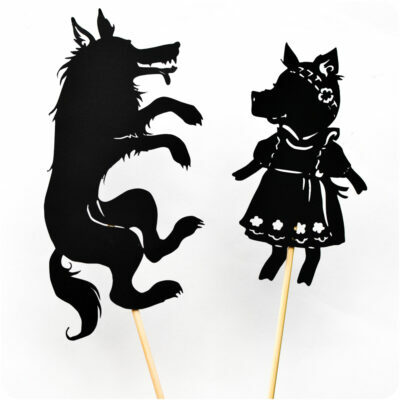 Upon checking out, you will be able to download a PDF file. 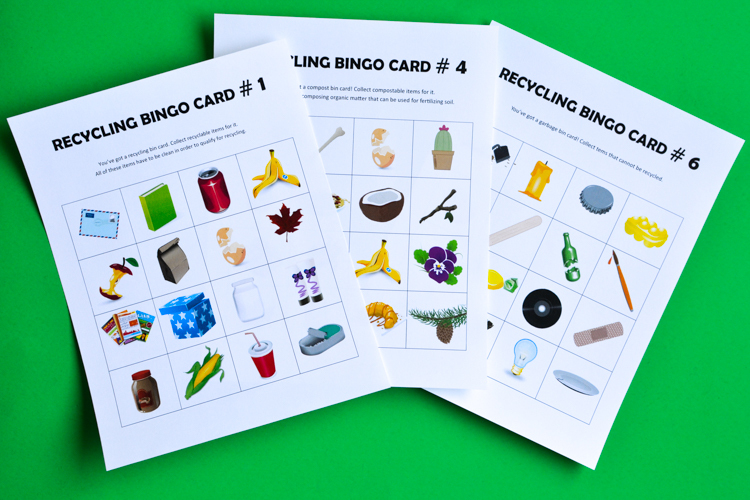 This game consists of 7 bingo cards and over 70 cards with pictures of items that we often find ourselves disposing of. 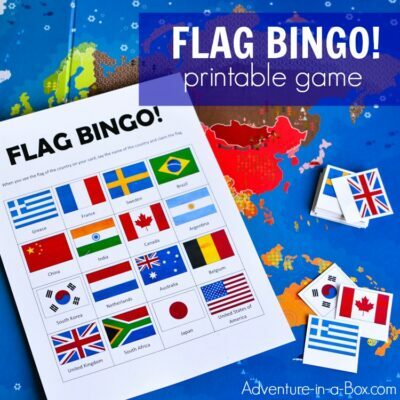 The aim of the game is to collect only those items that are shown on the player’s bingo card. There are also sorting bingo cards that have no picture of them to play a more advanced version of the game. 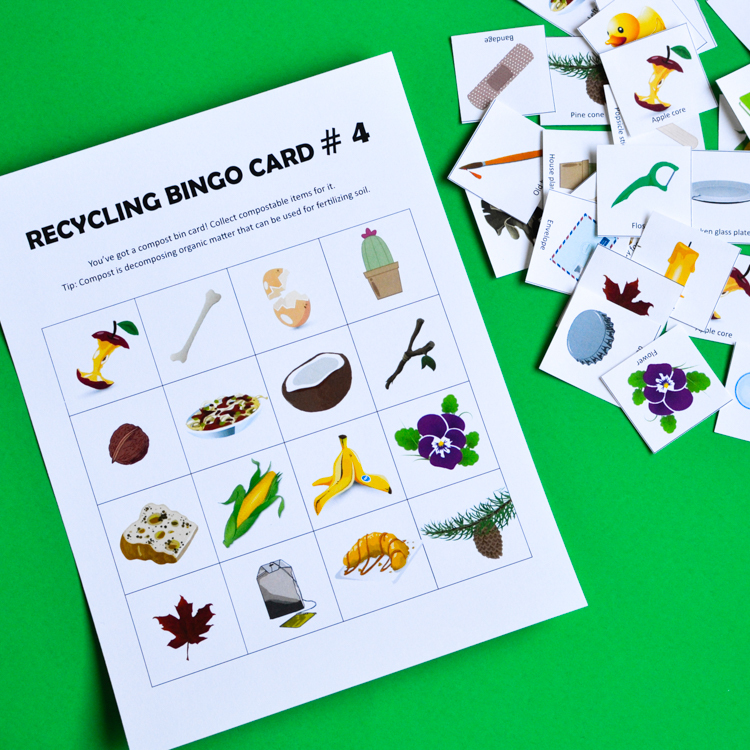 Read about the rules here.